The Community Foundation for Northeast Michigan recently awarded a new round of community grants covering a four-county area that includes Alcona, Alpena, Montmorency and Presque Isle counties. The Board of Trustees recently approved 50 new grants totaling $76,126. 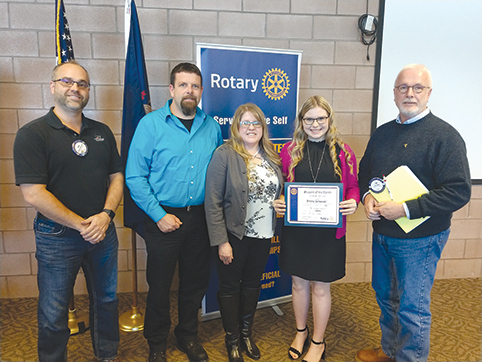 Of that amount, $48,395 was awarded in Community Impact Grants and $27,731 was awarded in grants from the Northeast Michigan Youth Advisory Council. Grants were approved on Dec. 13. 1. Alcona Community Schools/Alcona High School – awarded $200 from the Community Endowment Fund for the Chromebooks project. 3. Mikado Township – awarded $500 from the Community Endowment Fund for the No Child without a Christmas project. 4. Alcona Community Schools awarded $4,704 from the Community Endowment Fund for the Weight Room Floor project. 5. Hillman United Methodist Church – awarded $500 ($250 from the Montmorency County General Fund and $250 from the Wayne Wire Cloth Fund) for the Back-to-School Bash, 2017 project. 6. McLaren Northern Michigan Foundation – awarded $3,600 from the Huron Shores Health Fund for the VitalCare Telehealth Program. 7. Michigan Center for Construction Education and Research – awarded $4,697 ($4,000 from the Community Endowment Fund and $697 from the Presque Isle County General Fund) for the Skilled Trades Expansion for Regional Students project. 8. St. Ignatius School – awarded $1,000 from the Huron Shores Health Fund for the Improving School Safety with a New Wireless PA System project. 9. Rogers City Public Schools – awarded $4,844 from the Ann M. Kuntz Fund for Equipment Replacement for Huron Broadcasting. 10. Alpena Gymnastics – awarded $1,000 from the Community Endowment Fund for the Indoor Playground Project. 11. Friends Together – awarded $500 from the Community Endowment Fund for the Caregiver’s Retreat January 2017 project. 12. Thunder Bay Martial Arts – awarded $1,000 from the Community Endowment Fund for the Student Scholarship Project. 13. Alpena County George N. Fletcher Public Library – awarded $1,100 from the Community Endowment Fund for the Historical Photo Negatives Digitization Project. 14. Bay View Center – awarded $1,600 from the Community Endowment Fund for the Michigan Peer Conference. 15. Alpena Fire Department – awarded $4,650 from the Community Endowment Fund for the High Performance CPR Quality Meters. 16. Hospital Hospitality House of Saginaw – awarded $2,500 from the Community Endowment Fund for the Family Assistance Program. 17. Taking Pride in Alpena/dba South Bay – awarded $5,000 ($2,005 from the Community Endowment Fund and $2,995 from the Mr/Mrs O.B. Eustis Fund) for the 45th Parallel Park/Alpena Bi-Path Extension Project. 18. Eastern National Forest Interpretive Association – awarded $2,000 ($1,000 from the Community Endowment Fund and $1,000 from the Mr/Mrs O.B. Eustis Fund) for the Sprinkler Lake Day Camp, July 2017. 19. NE MI Center for Fine Arts dba Art in the Loft – awarded $1,500 from the Community Endowment Fund for the Sound System w/Hearing Loop Project. 20. Alpena Blues Coalition – awarded $1,500 from the Community Endowment Fund for the 2017 Alpena Blues Festival. 21. 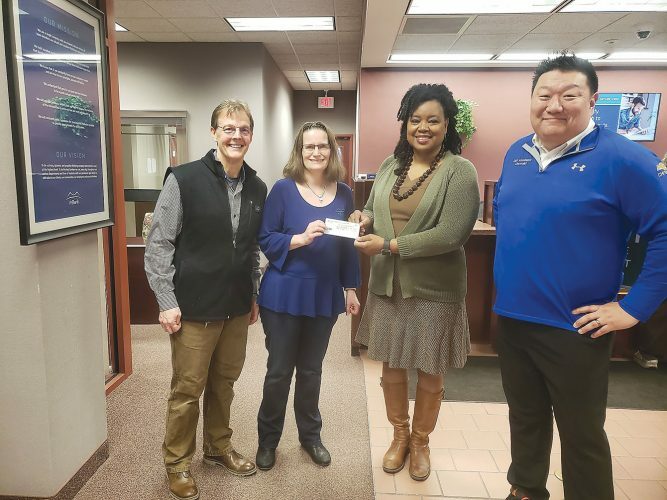 Friends of Thunder Bay National Marine Sanctuary – awarded $4,000 from the Community Endowment Fund for the Thunder Bay International Film Festival. 22. Boy Scouts of America/Michigan Crossroads Council – awarded $1,500 (to be used for Summer Camp Scholarships) from the Community Endowment Fund for the Comprehensive Youth Development program. Community Impact Grants are awarded through three different grant cycles throughout the year. Funding for grants during this cycle comes from CFNEM’s Community Endowment Fund (which also includes the Genite Family Fund, Chuck and Kathy Ingle Fund, Lappan Fund, Neva Nelson Memorial Fund, Panel Processing Fund, Reitz Family Fund, Stevens Fund, Weinkauf Fund and the Wilson Family Fund. 1. Village of Lincoln – awarded $823 for the Alcona County Easter Egg Hunt. 2. Alcona Community Schools – awarded $500 for laboratory enhancements. 3. Mikado Township – awarded $1,000 for the “No Child Without a Christmas” program. 4. Iosco County Coats for Kids – awarded $2,000 for coats for Alcona kids. 5. Thunder Bay Theatre, Inc. – awarded $2,500 for TBT’s “The Jungle Book”. 6. Alpena Public Schools – awarded $450 for the Figure Skating Club uniforms. 7. Alpena Public Schools – awarded $750 for the Positive Behavior Supports and POWER program. 8. Girl Scouts of Michigan Shore to Shore – awarded $800 for NE MI Science Olympiad Division A. 9. Alpena Public Schools – awarded $500 for Environmental Science. 10. Alpena Public Schools – awarded $210 for School Success. 11. Alpena Public Schools – awarded $250 for STEM Days. 12. Alpena Public Schools – awarded $1,750 for the Connecting Students in the Math Classroom program. 13. Alpena Montmorency Alcona Educational Service District – awarded $2,500 for Virtual Field Trips. 14. Art in the Loft – awarded $2,000 for Ready, Set, Create! 15. Alpena Public Schools – awarded $1,600 for a field trip to the Detroit Institute of Arts. 16. Atlanta Community Schools – $1,100 for Cafeteria Student Communication. 17. Atlanta Community Schools – awarded $200 for the Elementary Yearbook. 18. Hillman Community Schools – awarded $276 for the Hillman Elementary Fitness Station. 19. Hillman Community Schools – awarded $247 for Technology Upgrades. 20. Hillman Community Schools – awarded $2,500 for iMacs in Education. 21. Michigan Center for Construction Education and Research – awarded $1,000 for Filling the Construction Pipeline. 22. St. John Lutheran School – awarded $1,000 for Trikes for Tykes. 23. Posen Consolidated Schools – awarded $1,750 for FIRST Robotics. 24. Rogers City Area Schools – awarded $500 for Equipment Replacement for Huron Broadcasting. 25. Rogers City Community Theatre, Inc. – awarded $650 for the High School Play. 26. St. Ignatius Parish Schools – awarded $500 for a Wireless PA System. 27. Posen Consolidated Schools – awarded $175 for Keep Posen Safe. 28. Posen Consolidated Schools – awarded $200 for Sheet Music for Choir. The next opportunity for submitting grant applications is through the Community Impact Grant, Tobacco Grant and the Northeast Michigan Youth Advisory Council (NEMYAC) Grant. The application deadline for all three opportunities is Jan. 16. Applications are available at www.cfnem.org. Led by a volunteer board of local citizens, the foundation oversees a group of permanent endowment funds from a wide range of donors. To make a donation or learn more about how community foundations work, visit www.cfnem.org or call 354-6881; toll-free: 877-354-6881.